Fireflies flash. Crickets hum. And the campfire, around which you and your companion sit, crackles and smokes. You watch the plumes, as they slip through the arms of old-growth trees, and vanish into an expanse of ancient stars. Perfectly timed, you reach into the cooler, and grab not one can, but two. You look deep into the flames, and smile. As the best stories always do, yours begins. 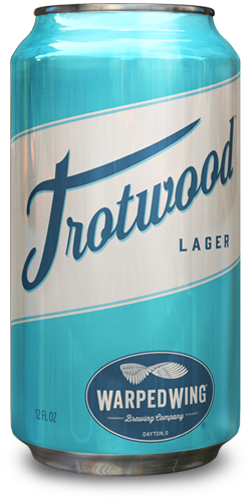 “Remember that time when.” Trotwood Lager. A crisp, cold-fermented beer. Best enjoyed in the middle of nowhere with family and friends.